A new collaborative research centre/Transregio 241 ‘Immune-epithelial communication in inflammatory bowel diseases’ is due to commence its research at FAU in July 2018. In conjunction with the Charité hospital in Berlin, doctors and biotechnologists at FAU will be conducting research in order to better understand the interaction between cells in mucous membranes and immune cells in the bowel and to develop more effective therapy methods for chronic inflammation. The German Research Foundation (DFG) is providing funding worth 11.5 million euros for the first funding period until 2022, and FAU has been allocated nearly 7 million euros of this amount. Severe diarrhoea, stomach pain, cramps – these are the most common symptoms of inflammatory bowel disease (IBD) such as Morbus Crohn or Colitis ulcerosa. Around 40,000 people in Germany suffer from IBD and this number continues to rise. Patients of IBD often suffer from flare-ups of their condition, which severely affects their quality of life and physical capabilities. ‘Despite the use of strong medication, chronic inflammatory bowel conditions remain difficult to treat’, says Prof. Dr. Christoph Becker, lead researcher at the Department of Medicine 1 at FAU’s Universitätsklinikum Erlangen and spokesperson of the collaborative research centre. ‘Acute flare-ups are often treated with corticosteroids that ease symptoms only in some cases. Many patients have to take several immunosuppressive substances.’ In addition, their symptoms are often accompanied by other conditions such as arthritis, acute inflammation of fatty tissue and chronic inflammation of the biliary tract in the liver. IBD is difficult to treat because the interactions between various cell populations in the bowel are not yet fully understood. ‘Newer findings show that the intestinal mucosa cannot be regarded as merely a physical barrier. In fact, it is highly-dynamic tissue that reacts to a large number of environmental stimuli including intestinal flora and local or systemic signals,’ explains Christoph Becker. ‘The immune system in the intestine regulates the barrier function of the intestinal wall and the composition of intestinal flora and vice versa as the intestinal barrier influences the immune system.’ However, there is a lack of knowledge of how the interactions between the epithelium and immune cells influence the long-term cellular reactions that contribute to controlling chronic inflammation processes. This is the starting point for the researchers from Erlangen and Berlin. During the next few years, they aim to integrate findings about the regulation and function of the immune system in the bowel and current data about anti-microbial defence on the mucous membrane barrier into a new concept. The individual projects will focus in particular on the role of misdirected communication between epithelium and immune cells during the pathogenesis of IBD. The researchers’ long-term aim is to develop medication that targets the causes of bowel inflammation while retaining the ability of the immune system to fight infections and cancer cells. In addition, they hope to find diagnostic methods that predict patients’ response to therapies – a goal that not only serves to relieve symptoms quickly, but should also contribute to lowering treatment costs. The scientific programme of CRC/TRR 241 is divided into three research areas: Area A ‘Immune regulation of intestinal barrier functions’, comprises projects focusing on the effects of acute and chronic inflammation on epithelial cells, in particular on their cell homeostasis and barrier-forming functions. Area B ‘The epithelium as a regulator of immunity and inflammation in the bowel’ examines the effects of disruptions to the barrier function and antigen translocation on the mucosal immune system. The objective of research area C ‘Diagnosis and therapeutic intervention of IBD’ is to develop innovative therapeutic and diagnostic approaches and evaluate them in a clinical setting. CRC/TRR 241 comprises a total of 22 projects, 14 of which are either based in Erlangen or involve researchers from Erlangen. The Department of Medicine 1 – Gastroenterology, Pneumology and Endocrinology, Department of Medicine 3 – Rheumatology and Immunology, the Department of Surgery and the Department of Dermatology and the Institute for Medical Biotechnology are all involved. 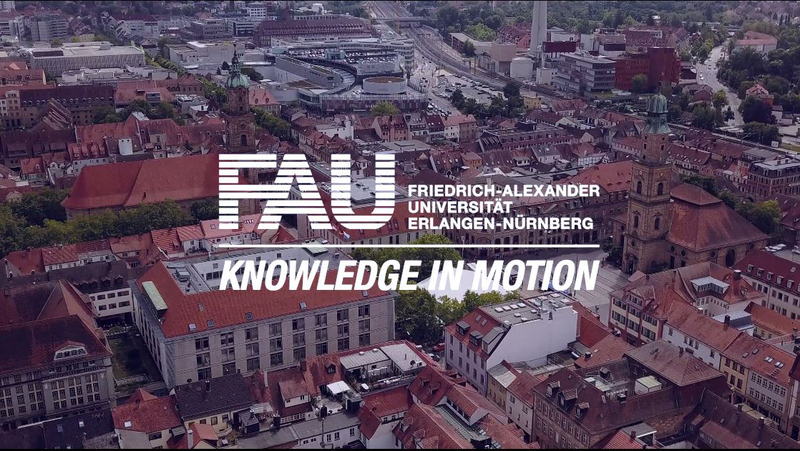 23 jobs and 9 scholarships are being funded during the next four years with the nearly 7 million euros allocated to the FAU.